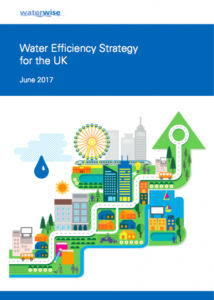 We know Ofwat is keen to see larger-scale water efficiency and we supported Defra’s expectation that they “promote ambitious action to reduce leakage and per capita consumption”. 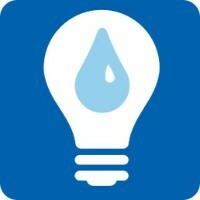 The key elements of our response included the need to explicitly support variable infrastructure charging schemes linked to water efficiency for new housing developments; to enable water companies to take risks by working in collaboration with others to achieve better outcomes on water efficiency; for wider policy changes to deliver extended and enhanced water efficiency scenarios; to audit the impact of retail competition on water efficiency services and how this might translate to residential retail competition; to consider the potential contribution of water efficiency in upstream competition; and for third party auditing of business plans and final PR19 determinations for progress on water efficiency. As was highlighted by several stakeholders at our recent Waterwise Retail Competition event, there is a need for better monitoring of these savings in England to ensure the market is working and to provide a stronger evidence base if retail competition includes domestic customers in future. Ofwat’s emerging findings on the costs and benefits of residential competition suggest that water efficiency could have a net benefit of between £98m and £398m. This along with the £177 potential metering benefit would make a large impact on the less innovative and competitive scenarios if not achieved. We know Ofwat is keen to see larger-scale water efficiency. Demand management options, including leakage reduction and water efficiency, could be more innovative and cost-effective if delivered by third parties or existing incumbent water companies who have already invested in this area. Providing clear market information on the water resources situation and other supply and demand management options being considered can inform those looking to innovate in this area. However, the market for demand management services, particularly household water efficiency, needs support to develop and address issues of delivery risk. The proposed changes around income offsets could reduce the ability of incumbent water companies to offer an incentive through reduced or zero developer charges where they install water efficient fittings and fixtures. We suggested this issue needs further consideration as these incentives provide a major opportunity for water companies to manage demand, without wider government regulation on building water efficiency standards. We support the Glas Cymru board’s mission statement “to become a truly world class, resilient and sustainable water service for the benefit of future generations”. Water efficiency is a key contributor to resilience, and water companies are currently carrying out large-scale retrofitting and customer engagement programmes. But water efficiency, scaled up even further, is also an invaluable tool in driving customer participation – as well as using water efficiency programmes to get customers to help deliver water savings, it can contribute to multi-layered relationships to help inform, track and improve customer service and outcomes across companies. We set out the need for Ofwat to be clearer in their methodology on how they will deliver Defra’s expectation that Ofwat “promote ambitious action to reduce leakage and per capita consumption”. The response also outlines potential water consumption related common and bespoke performance indicators and what targets in 2019 might look like. International Water Association Efficient 2017 conference was held Bath 18-20 July 2017. There were over 100 presentations and workshops over three days and delegates from 23 countries. Keynote speakers included Jean Spencer from Anglian Water, Trevor Bishop from Ofwat and Jamie Workman from Aquashares Inc. Conference topics included drought in California, Australia and South Africa as well as leading approaches to leakage management, smart metering, retrofit and engagement from across the world. 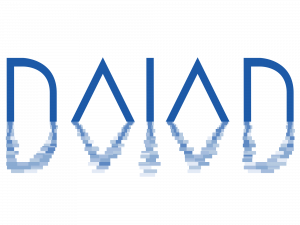 This report presents an exhaustive evaluation of knowledge and data gained from the DAIAD Trials, regarding both the operation of the DAIAD system, and the application of real-time water monitoring technologies for reducing water consumption and inducing sustainable changes in consumption behavior. Our analysis validates the success of the DAIAD system in terms technology, business relevance, and water savings. Our evaluation is based on data generated from the DAIAD Trials and are available with an open license, allowing third parties to objectively validate our findings and apply them for research and innovation purposes. This work by the Blueprint for Water, a coalition of leading environmental organisations, sets out 10 steps to achieve sustainable use of water. Recommendations for concrete objectives and actions are outlined for each of the steps, which include aspects such as demand management, water efficiency, licensing of abstractions or water tariffs.